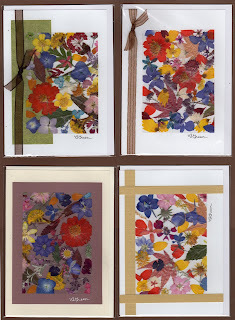 I'm excited to be teaching a fall collage pressed flower class at the Pittsford Library. This will be the third time I have been invited to do so. The class is full with five students on the wait list. Here are samples of the cards I made in prepartion for the class. You are so talented crafter. I love your each and every craft alot. 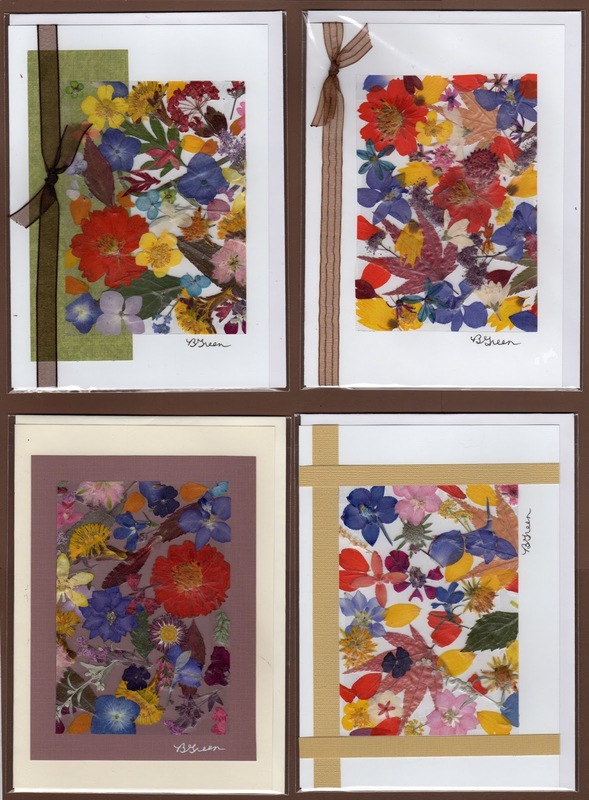 These pressed flower greeting card is a so good and a unique one.